Being energy efficient is easier than you think. EnergyMiser® products give you an opportunity to increase energy efficiencies at your location up to 46% per machine and they begin positively impacting your operating costs immediately upon installation. 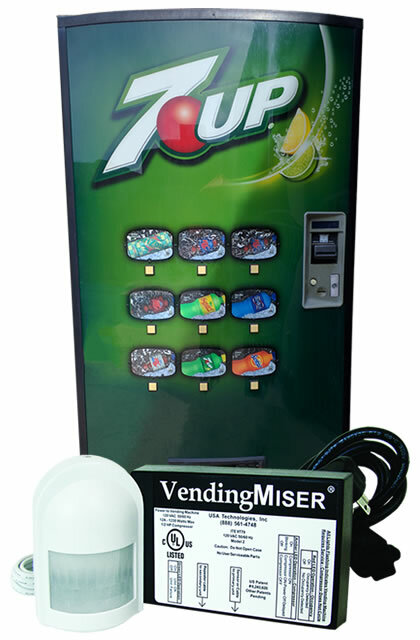 There are over 400,000 VendingMisers installed in North America with an average savings of 46% per year. With its occupancy-based technology it can reduce the power consumption of a cold drink vending machine by an average of 46%. Controls glass-front coolers that contain non-perishable goods. It can operate alone or it can be a perfect companion to the powerful VendingMiser ®. 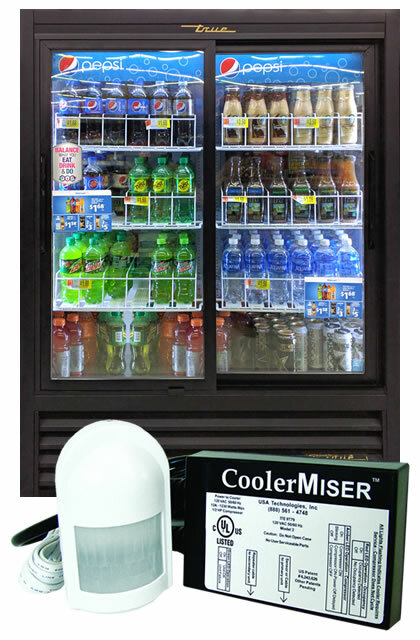 Machines suitable for control by CoolerMiser™ typically have glass sliding doors or pull-open doors. 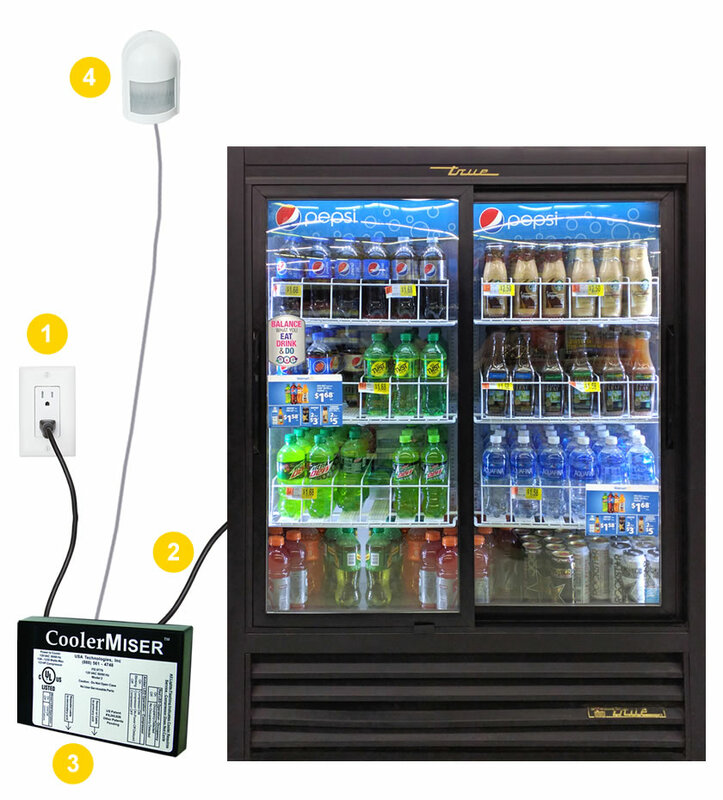 Reduces the amount of electricity used by non-refrigerated snack vending machines. 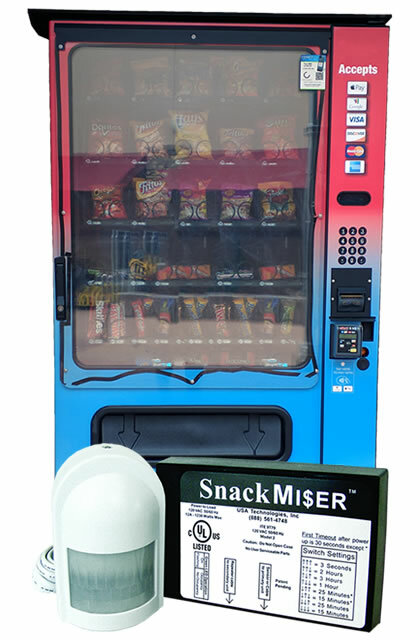 SnackMiser™ can stand alone, or act as the ideal companion to VendingMiser®. Is an occupancy-based power controller for all types of plug loads, including those found in personal or modular offices (printers, personal heaters and radios), video arcade games and more. 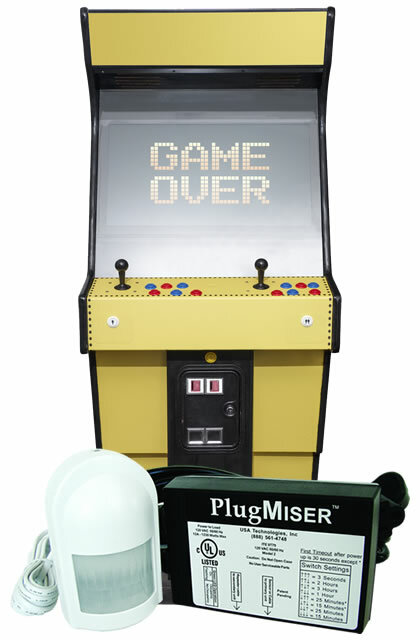 Any type of plug load that can be shut down based only on occupancy can be controlled by PlugMiser™. The EnergyMiser is plugged into a power source such as a wall outlet. The machine is connected to an EnergyMiser. The EnergyMiser Controller is mounted on a wall or the machine. The EnergyMiser Occupancy Sensor is connected to the Controller and mounted on a wall or the machine so it can detect pedestrian traffic.